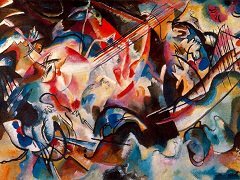 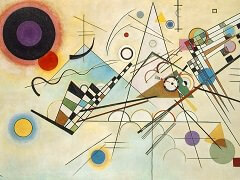 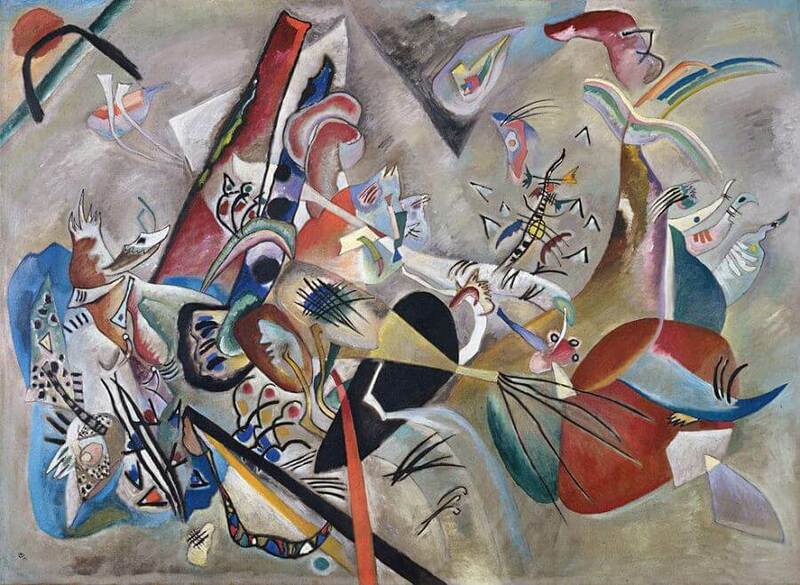 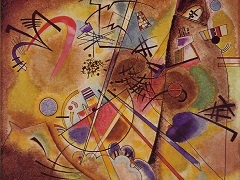 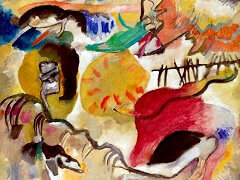 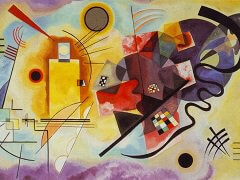 In Grey is one of the only small number of largeformat, carefully-studied works dating from Kandinsky's Russian period. 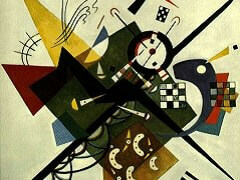 It presents a dense complex of abstract forms in muted, cool shades of grey, brown and blue. 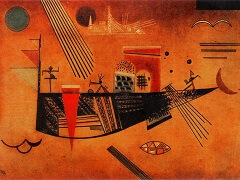 The pencil sketch (p. 119 above) reveals that Kandinsky originally started from more pronouncedly organic motifs, including a sun and a boat with oarsmen. 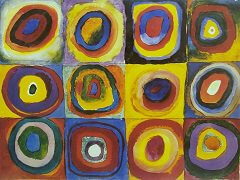 In the final oil painting, however, these are transformed into free constellations of colour and form.